Chief prosecutor says Russians are leaving the company. 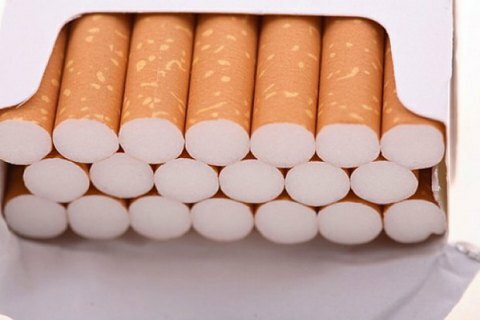 The company Tedis-Ukraine (ex- Megapolis-Ukraine), a monopolist in the distribution of cigarettes in Ukraine, paid a considerable fine to the state budget of Ukraine. "A most effective search :) Today, court-warranted searches are being conducted at the CEOs of the company Tedis. The company has just paid the largest fine in the history of the Ukrainian Antimonopoly Committee: 300 million hryvnya have been transferred to the state budget. The PGO has obtained documents on the beginning of the process of changing the beneficiaries of the company Tedis, the citizens of the Russian Federation. Criminal proceedings are underway." Prosecutor General Yuriy Lutsenko wrote on Facebook on 26 April. Last December, the Antimonopoly Committee of Ukraine (AMCU) fined Tedis-Ukraine for 429 million hryvnia for monopoly abuse. On March 31, about a thousand law enforcement officers busted the Tedis offices which were followed by searches in the building of the AMCU. Interior Minister Arsen Avakov said the searches were in the case of Tedis, and demanded the resignation of the AMCU leadership. Tedis is suspected of tax evasion and financing of terrorism. Chief prosecutor Lutsenko said that since 2012, the end beneficiary of Tedis-Ukraine has been Russian citizen Ihor Kesaev, who was under the NSDC sanctions banning the withdrawal of funds from Ukraine. Tedis CEO Degtyaryov is a known supplier of weapons to the terrorist republics of "DPR" and "LPR". "Tedis-Ukraine" dominates the market of the distribution of tobacco products by all four major producers: Philip Morris Ukraine, JTI Ukraine, Imperial Tobacco Ukraine and BAT Ukraine, which occupy 98% of the cigarette market. In 2014 and 2015, 100% of cigarettes produced in Ukraine were sold to Tedis (then Megapolis), which made Tedis-Ukraine one of the 20 largest Ukrainian companies. After the searches, Ukrainian tobacco kiosks experienced the shortage of cigarettes.